VENICE, VIEWS ON GHETTO” is a group exhibition organized by both the Gallery Melori & Rosenberg of Venice and its artists for a non-profit purpose. 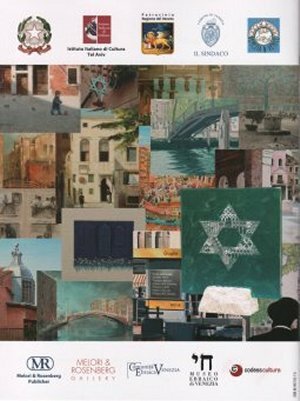 It was inaugurated in May 2005 at the Sala Midrash Leone da Modena, 1222 Ghetto Vecchio, Venice. The exhibition then moved to the bookshop of the Jewish Museum of Venice. 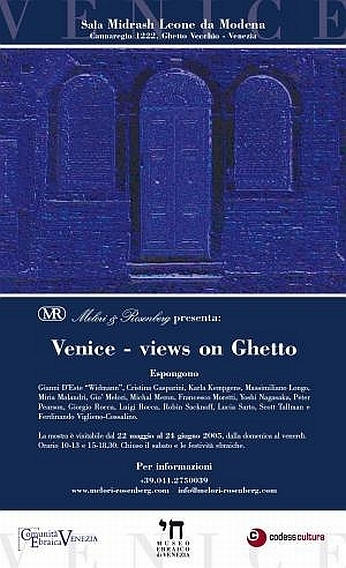 On 5 June 2006 “VENICE, VIEWS ON GHETTO” will be installed in Israel, first in the residence of the Italian Ambassador S.E. Dr. Sandro De Bernardin in Ramat Gan, on the occasion of the National Holiday of Italy, and will subsequently travel to the Museum of Italian Jewish Art in Jerusalem and to the city of Haifa.